Into Subscription details you can consult all the information about your Zakeke account. Change payment method - it changes the payment method for the charges about your Zakeke account. The change of plan provide the possibility to choose one of the tariff plans available on Zakeke. By clicking on Subscribe plan at the bottom of each plan you'll proceed with the deactivation of your current plan and with the activation of new one. 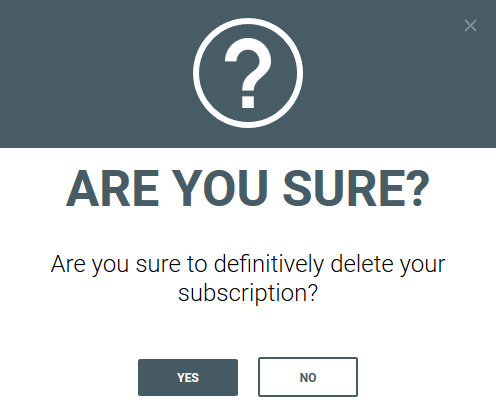 The cancellation of subscription requires an user confirmation, given that this irreversible operation blocks the use of Zakeke. The change of payment method gives to user the possibility to insert / update payment information for Zakeke. By clicking on Update payment method at the bottom you'll save your changes.